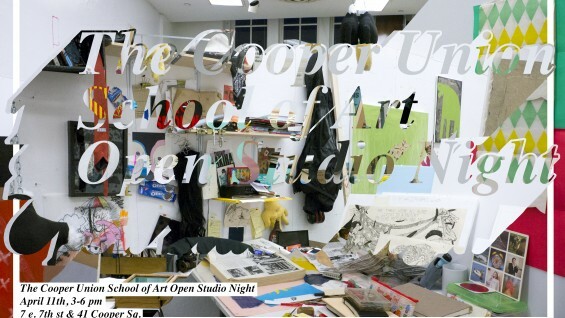 The public is invited to explore the studio spaces of Cooper Union undergraduate students in the Foundation Building and in 41 Cooper Square. Students will be hanging out, working and ready to have conversations during this free event. Students are excited about this opportunity for the Cooper community to connect with the public and engage in unique discussions about their work and practices.